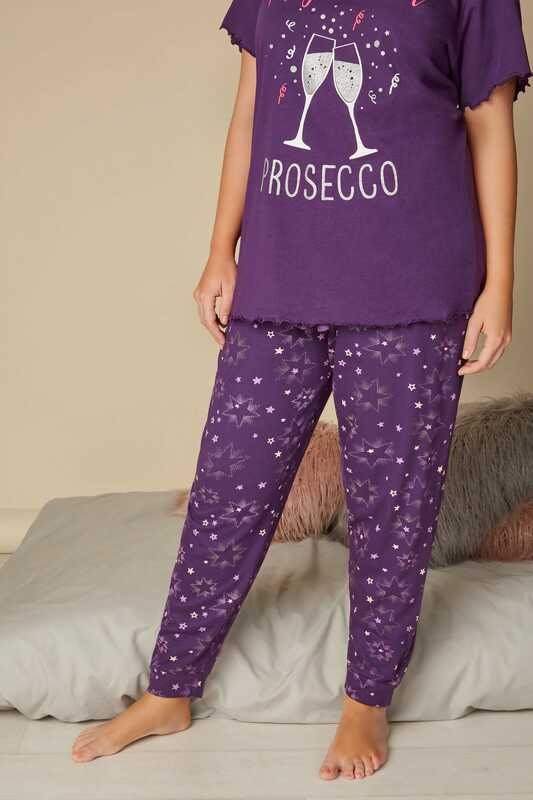 Inside leg length from (approx): 75cm/29.5"
Pop colour into your nightwear line-up with these pyjama bottoms. Made from a soft jersey fabric, they feature cuffed ankles and an elasticated waistband for a perfect fit. 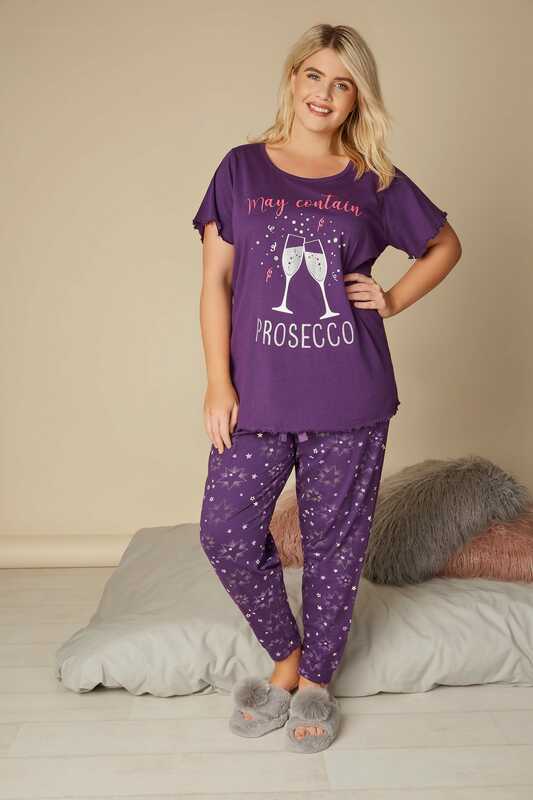 Team with one of our printed pyjama tops, a snug dressing gown and a pair of knitted slippers. 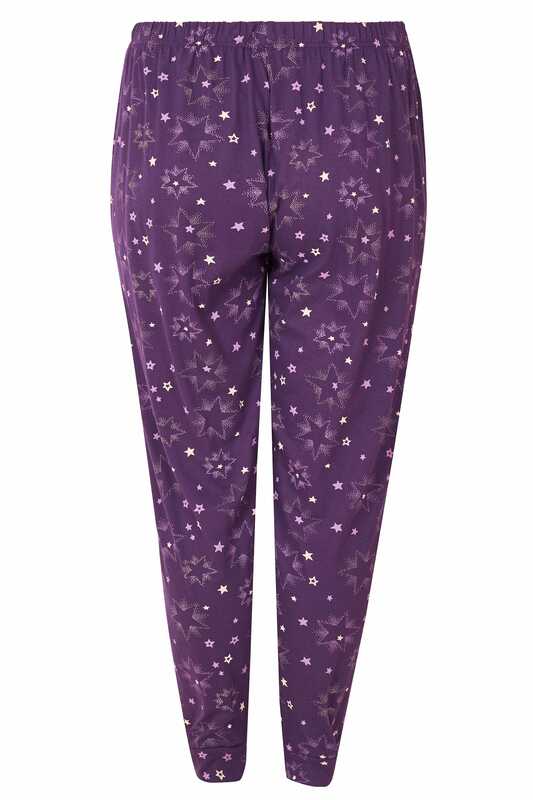 The perfect option for cosy around-the-house wear, we love the purple all-over star print.